Building the best possible digital experiences for your customers, potential customers, and co-workers is a tough row to hoe. Just as you wouldn’t leave the looks, functionality, and user-friendliness of your websites and apps to chance, so you wouldn’t leave the platform behind it all to happenstance. 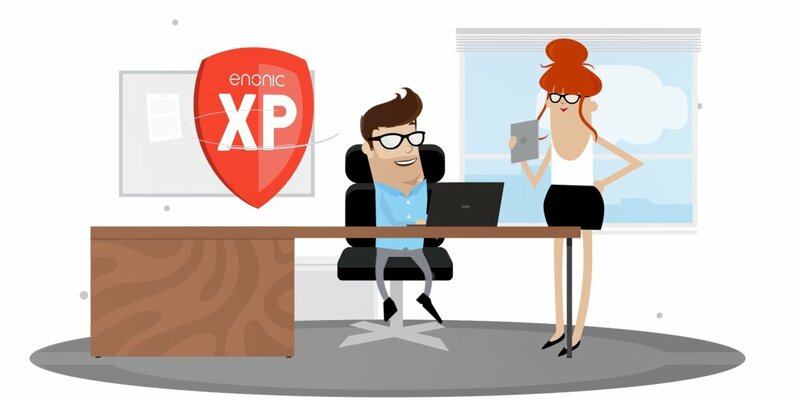 Enonic XP is a flexible web platform equipped for the future. With XP you can create apps, APIs, and complex websites. Our focus today is the content management system (CMS), a key part of the platform. Image handling can be a chore in content management systems, with clunky tools and annoying editing mishaps. Not so with Enonic. With Enonic’s focal point you decide what part of an image that will always be featured, whatever the aspect ratio that is presented. Let’s say you have a picture of a giraffe featured on a narrow image, with only the neck being shown. Instead of going through the hassle of editing, just assign a focal point on the giraffe’s head, and it will be shown automatically. Also, you will get responsive editing with Enonic. Large icons for flipping and cropping make it just as easy to edit with your fingers on small mobile screens as editing with a mouse on larger desktop screens. Finally, you can easily move images within your hierarchy in XP’s logical navigation tree structure. Why should you click through an endless array of menus and buttons or write codes when you can just drag and drop to make things the way you like on your website or app? In Enonic, you can of course enjoy the benefits of a visual page editor. Drag elements into and within our responsive Page Editor, or right-click to access settings, duplicate content, and more. Creating content and engaging digital experiences should be a fun activity, and our drag and drop system is there to help you on your way. Many content editors aim to work as fast and efficient as possible, and Enonic offers highly efficient content management, in part due to our system of familiar keyboard shortcuts. Navigate through fields, format text, save, preview, and create new content with shortcuts you already know from Mac OSX or Windows. These keyboard shortcuts work on all levels—in the browser, content editor, and rich text editor. Take a sneak peek at the shortcuts in our documentation. No platform includes every feature, solution, and function in the world. While not being an exception to this rule, Enonic has a nifty trick up its sleeve: the Enonic Market—essentially an app marketplace you know from iOS and Android. You can easily perform one-click installation of ready made integrations with third-party marketing tools that work seamlessly with Enonic. These tools serve to accelerate your workday and strengthen your optimisation efforts, and include: Google Analytics, Visual Website Optimizer, Siteimprove, SEO meta fields, and more. When you are working with several colleagues in an editorial environment, you are always in the danger of fulfilling the old prophecy of “too many cooks spoil the broth.” Enonic has several features to mitigate this risk, and offers for instance a user hierarchy with different rights. But a crucial feature is also the issues management. You can create and assign issues for anything. Whether you need someone to proofread your text, find a missing image, or report a plain, old bug, you can create an issue from Enonic’s top panel and assign it to the relevant person. Close and reopen issues after need, and receive instant notifications via email from your co-workers when there are updates.